Ron and Destiny became homeless when Ron borrowed a car from a friend that didn’t have insurance on it. He says he was pulled over and ticketed for the lack of the insurance, and his commercial driving license was suspended for three months. Living paycheck to paycheck, Ron and Destiny soon became homeless. June 2017: Ron and Destiny are resting in the sleeper cab of a semi-truck owned by his employer. Destiny is 19 weeks pregnant. The couple previously bounced around for three months between houses where people took them in briefly, but those living arrangements aren’t without problems. Ron says he’s had situations arise when he would return from an errand and find his belongings ransacked. Ron said they turned to local agencies for help, but he claims many of the places he went to wouldn’t help because he isn’t the biological father of Destiny’s child, and he and Destiny don’t have marital status. 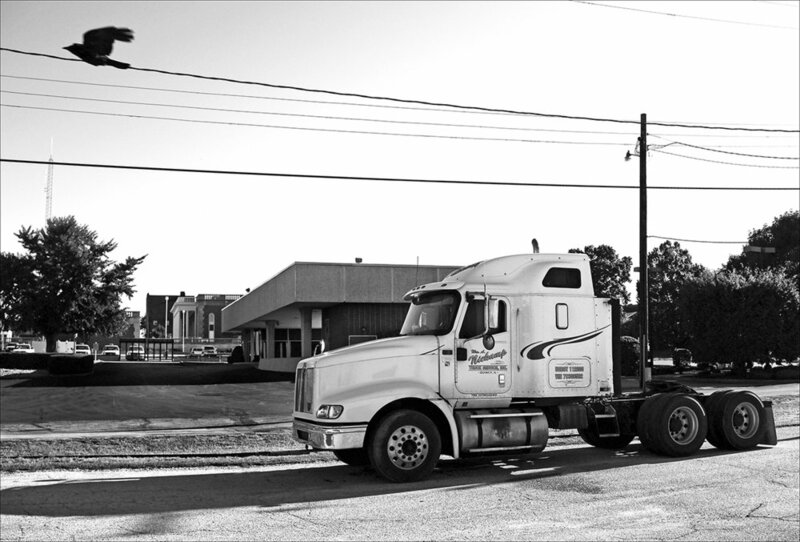 Ron continued to look for a job until he could get back to truck driving with no success. “We’re basically down to our last $6 now, and I have got a week to go before I get paid. Most of our food's gone, because we ended up leaving our food we bought with food stamps up in Macomb for our daughter. That’s hurting us, because we don't have nothing now, but we made sure our daughter was provided for,” Ron said. 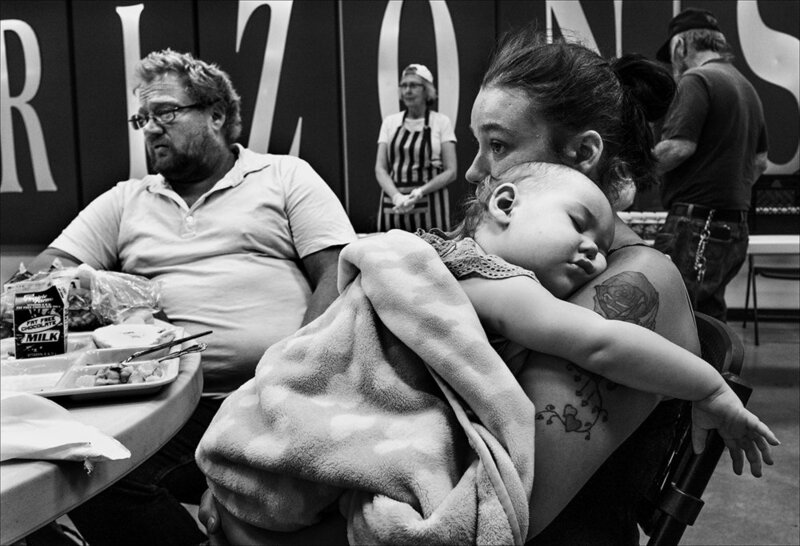 June 2017: Ron and Destiny are at the Horizons Soup Kitchen with Destiny’s baby niece. Ron and Destiny rely on the lunch meals served there Monday through Friday to survive. Destiny’s 18-month-old daughter is living with her parents in Macomb while the couple struggles with homelessness. “We feel it’s a better, stable environment, for Destiny’s daughter until we can get back on our feet,” Ron said.